The last decoration to go up before the big day! 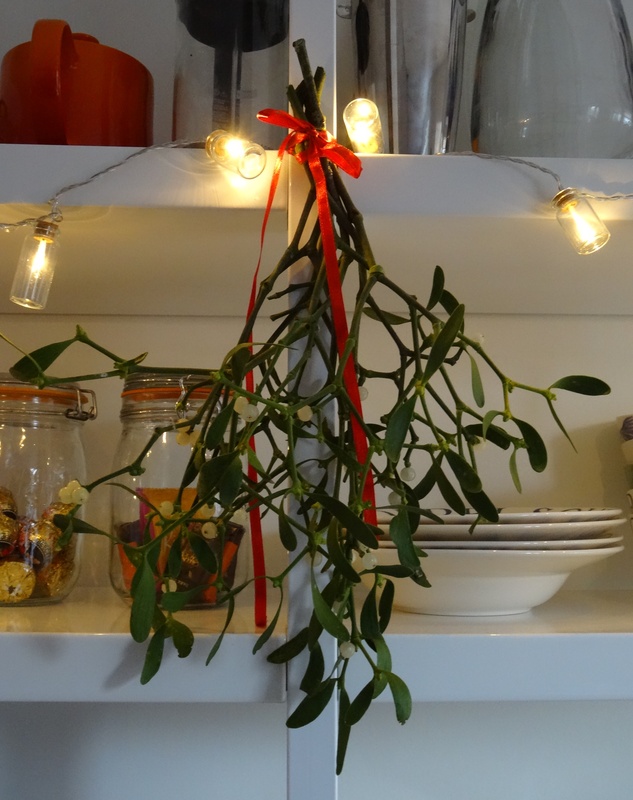 Mistletoe hung from the kitchen shelves on Christmas Eve. 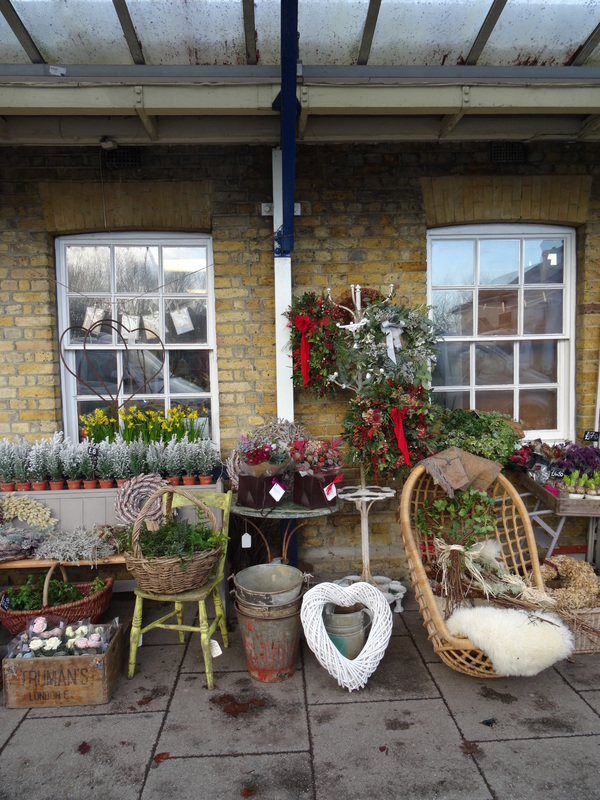 This entry was posted in It's the weekend and tagged Christmas, decorations, fairy lights, Mistletoe, ribbon on December 28, 2014 by Lyn Whitfield. The christmas cake is done, but won’t be iced and eaten until Christmas week. What do you need for Advent? Lovely, spicy, marzipan filled stollen, sealed with butter and dredged with icing sugar to keep it fresh (not that it tends to sit around long…) This and some Advent pictures from Winchester on the flickr stream. 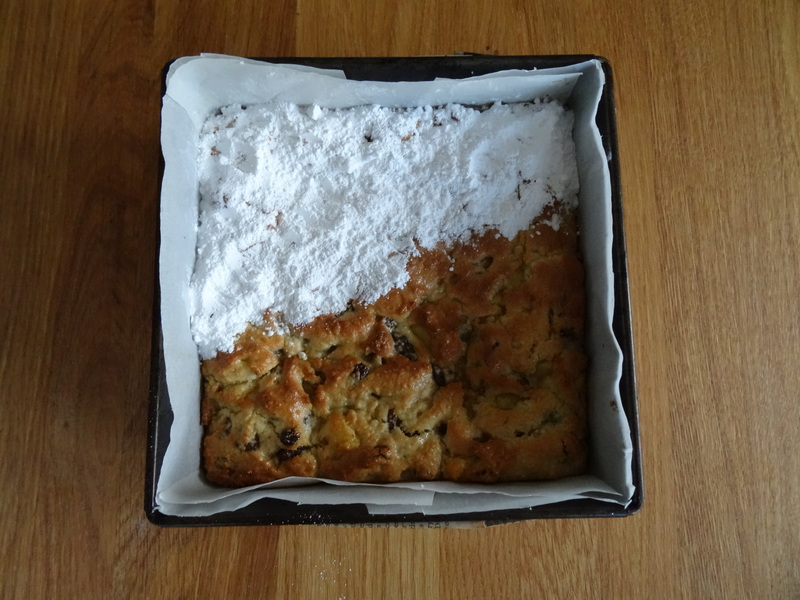 This entry was posted in It's the weekend and tagged Advent, baking, Christmas, stollen on November 30, 2014 by Lyn Whitfield.